Spring has sprung and to celebrate, you probably want to revamp your wardrobe and given that the festive season is upon us, your probably thinking of purchasing several new outfits for the end of year Christmas work function, the annual Christmas family get-together and this year's New Year's Eve party. But what if I told you that you could have a range of new outfits without spending a cent (besides the admission fee of $25). 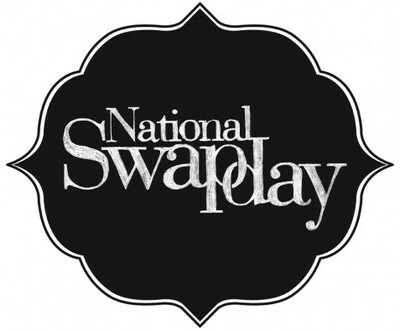 You'd think I was kidding, but it is all true - all you have to do is head to a National Swap Day event which will be held in Canberra, Melbourne, Sydney and Brisbane on Monday 17th October. 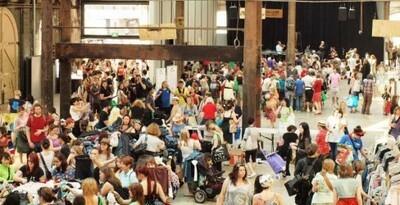 These ingenious events are being organised by the clever ladies behind the popular Clothing Exchange. By attending one of these clothing swap events you could have a new outfit without having to fight the crowds during a 50% off sale and you also wouldn't have to wait impatiently for the postman to deliver that dress you purchased online, which fingers crossed - actually fits. Instead all you have to do is choose a couple items from your wardrobe which you are happy to trade. Make sure each garment is clean and pressed, has all the zips, buttons and embellishments intact and is of as new quality. It is that easy. You can bring along up to 6 garments to an event. 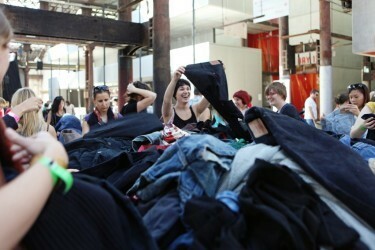 Garments which cannot be traded include undergarments, swimwear and tracksuits. The Canberra event will be held at Tilley's Devine Cafe Gallery (54 Brigalow St (Cnr Wattle St), Lyneham) from 6:30pm. The Melbourne event will be held at BMW Edge, Federation Square (Corner Swanston Greet and Flinders Street, Melbourne) from 6:30pm. The Sydney event will be held at Joan Sutherland Studio, The Opera Centre (480 Elizabeth Street, Surry Hills) from 6:30pm. The Brisbane event will be held at Sling Lounge (153 Boundary Street, West End) from 6:30pm. For tickets for the Canberra event, click here. For tickets for the Melbourne event, click here. For tickets for the Sydney event, click here. For tickets for the Brisbane event, click here. Admission is priced at $25. Once everyone's garments have been screened, the fun begins. You trade one garment for one garment, and buttons are used as currency. You can try the garments on and inspect them closely before you decide to trade. There will be a wide range of styles and sizes on offer, so you should be able to find something that will take your fancy. This is a fun activity for a group of friends and if you want further information on any of these events, just head to the Clothing Exchange FAQ.